After I took the exam, I was off for a weekend of trouble to Vegas! 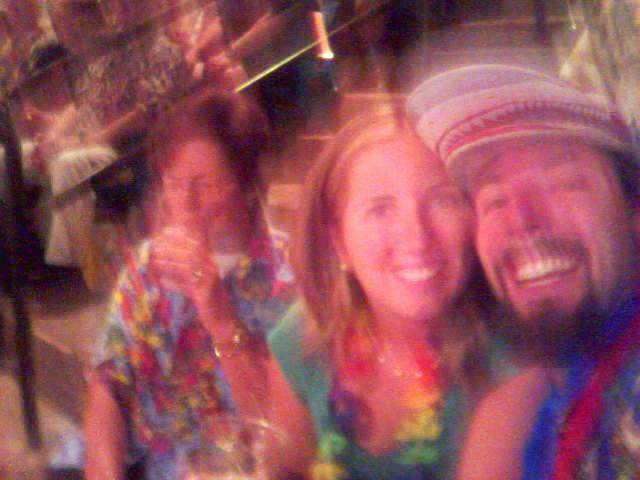 A Buffett concert, a bunch of drinking, and a show were on tap. Not much gambling for me, but I am always up for watching. Last year I won about 10 bucks in the slots. But this year was not the same. I lost 3!!! Terrible! It was a fabulous weekend though! The Buffett show was great, the Beatles themed Cirque du Soleil show was fabulous, and I definitely had a good time drinking margaritas and such! We sat by the pool each day for a bit which was very relaxing. Another successful trip to Vegas!! After taking the red-eye back on Monday night, I have had several really busy days with work, making up for the time that I took off before and after the exam. On Wednesday I had tickets to see A Midsummer Nights Dream at the Folger Theater on Capitol Hill. I thought it was a very well done show and very entertaining. This weekend I am headed back up to Pittsburgh to get my dogs back from their vacation while I was studying hard. It is going to take a little readjustment to walking them again! While at home I am going to the Steelers game against the Broncos. Hopefully I can enhance my 1-0 record watching them in person to 2-0. What a fine line this season has been. It's the little inconsistencies that have been killing them. Oh well, I am still riding high from the XL win!